TO All Customers: Welcome to our shop and thanks for your choosing and trusting our products! We have prepared a lot of coupons for you, please enter our shop on the mobile APP or computer and get the coupons. Please note : Please take the coupons before placing your orders and then use ithem while payment A, so that you can get additional benefits! 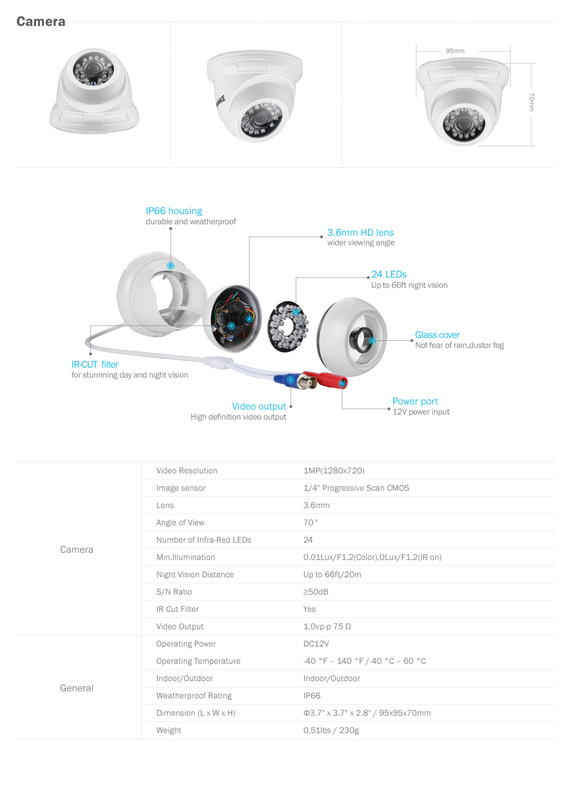 We provide these item with HHD or with out ,If you want this cctv system with 1TB hard drive, please choose the right one ! 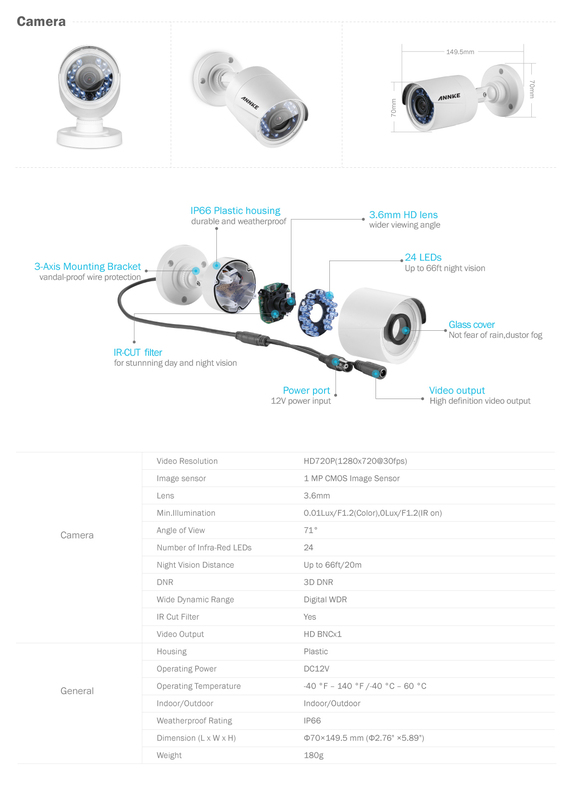 This is an affordable and easy to install 720P high definition video surveillance system which are ideal for home and business security. You\'ll get astonishing real-time video on your mobile devices from literally anywhere and always be in the know even you\'re thousands of miles away. 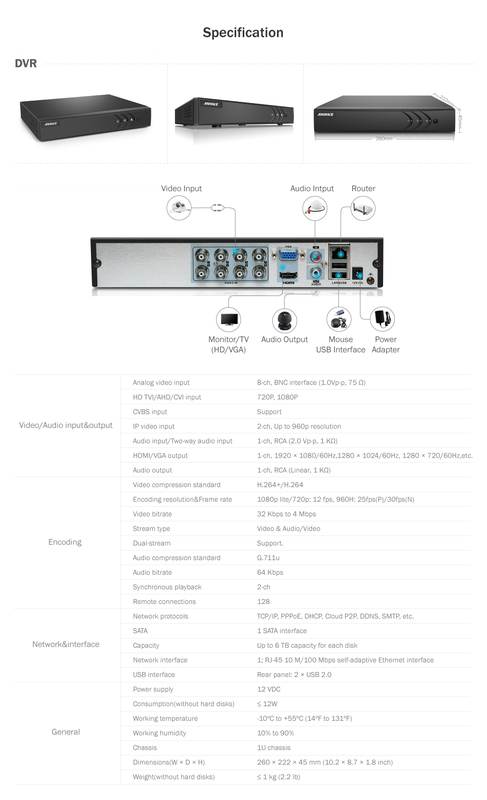 8-channel 1080P lite 5-in-1 DVR supports CVBS, AHD, TVI, CVI and IP cameras, connectable to 1080P TVI cameras and 960P IPC. Compatible with most cameras in the market. 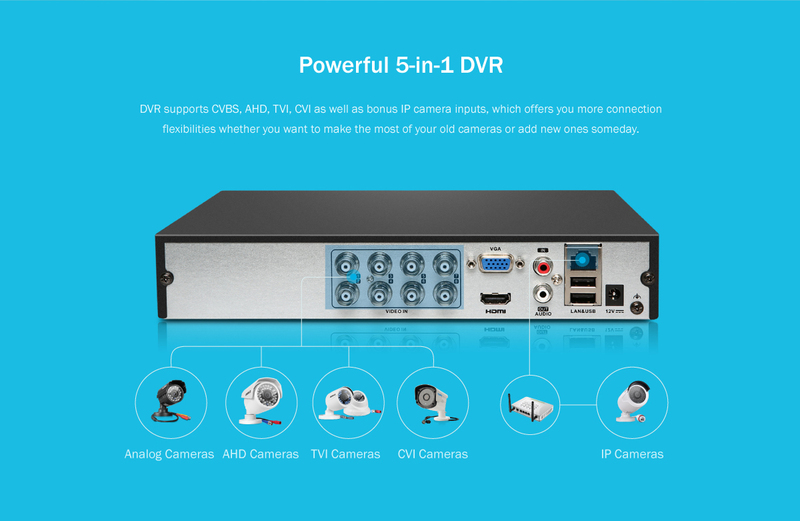 DVR support multiple languages. 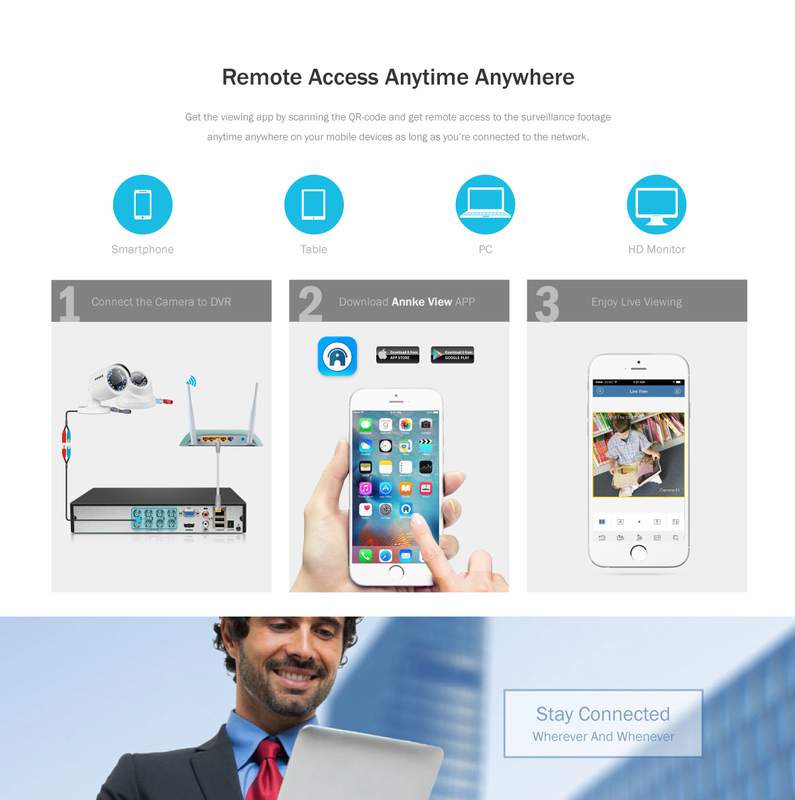 We provide free and easy-to-use app for your smartphone, tablet and computer, so that you can monitor your home and office remotely from anywhere in the world. With this app, you\'ll see whatever the cameras see in real-time and have full control over the recordings. Only 3 simple steps are needed to get remote access: scan the QR-code to download the app, install the app to your mobile devices and start remote viewing. 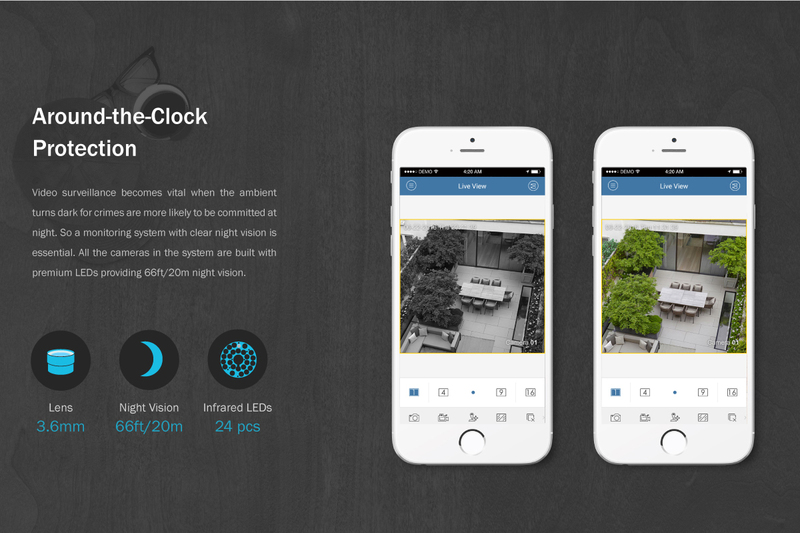 This function allows you to have your security system at your fingertips. 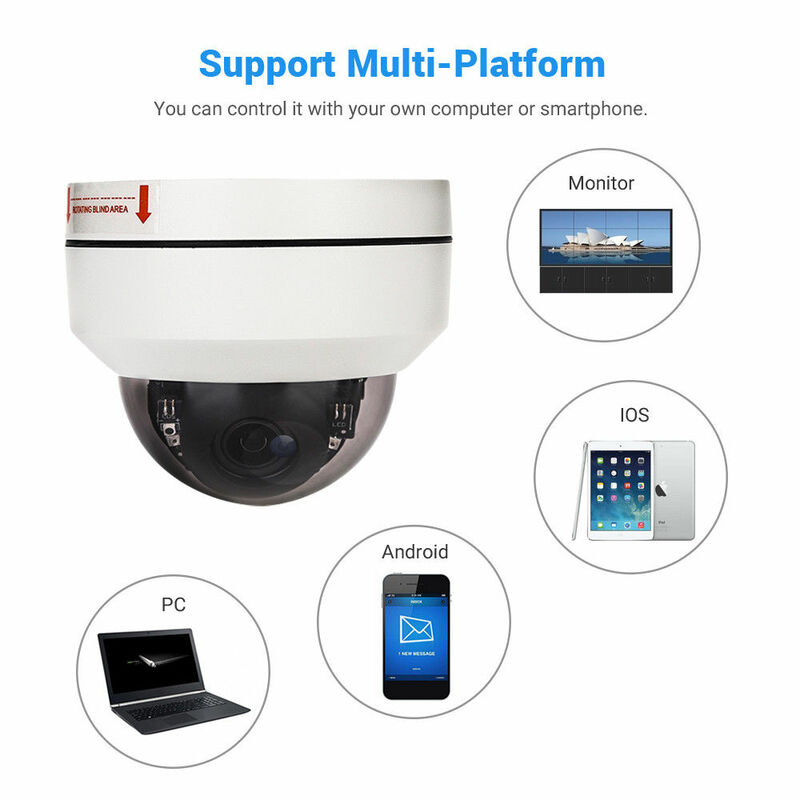 Support invasion detection and crossing line detection. 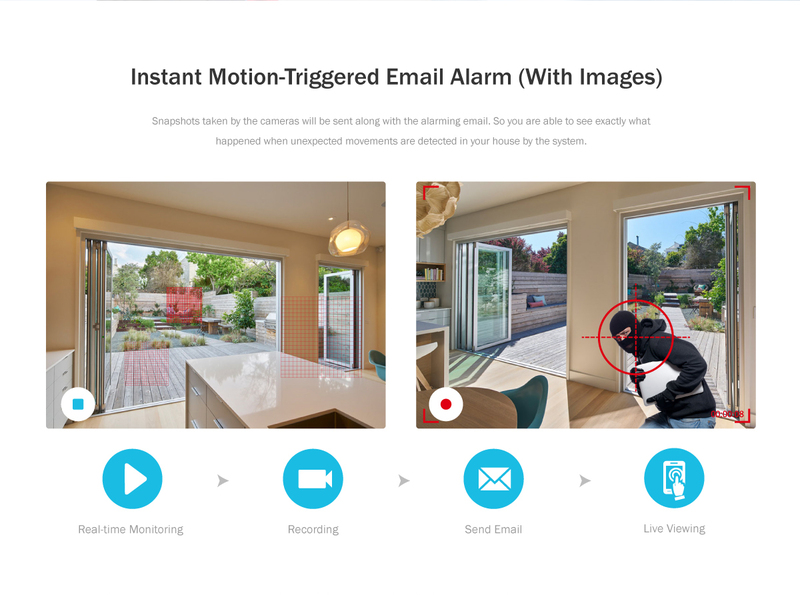 Motion detection email alert with snapshots to allow you to see exactly what happened. 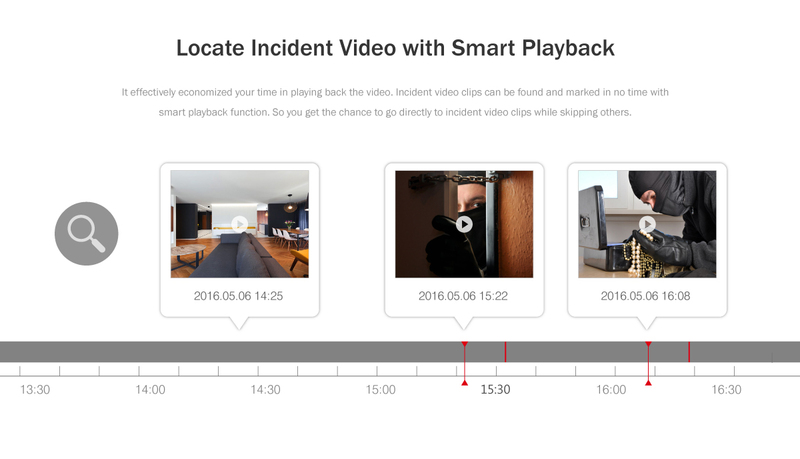 You must feel bored trying to locate the incident videos to see exactly what happened during your absence by going through all the tedious recordings. Now, smart search is available, it automatically helps you locate vital video clips and there\'re different searching modes you can choose. By customizing a searching region yourself; you can go directly to the moment when movement is detected in that region while the rest recordings are sped through when nothing happens. Huge playback time is saved with this smart playback function. 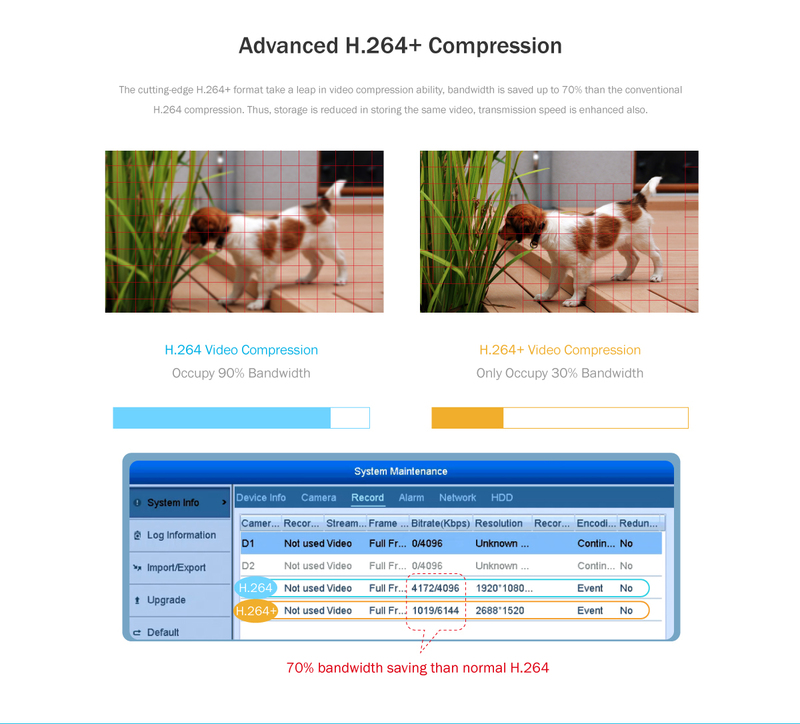 What can H.264+ video compression benefits you? 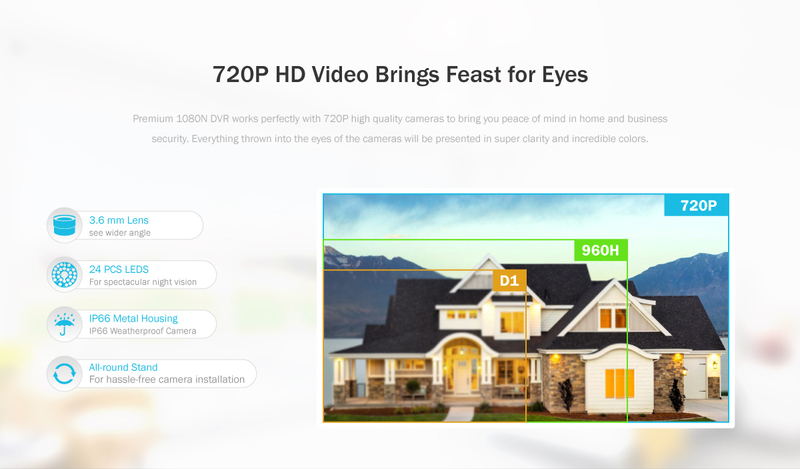 It compresses the surveillance video to a smaller size so that bandwidth and storage are greatly saved in storing the same video in comparison to the conventional H.264 compression. Bandwidth can be saved to 70% than H.264. 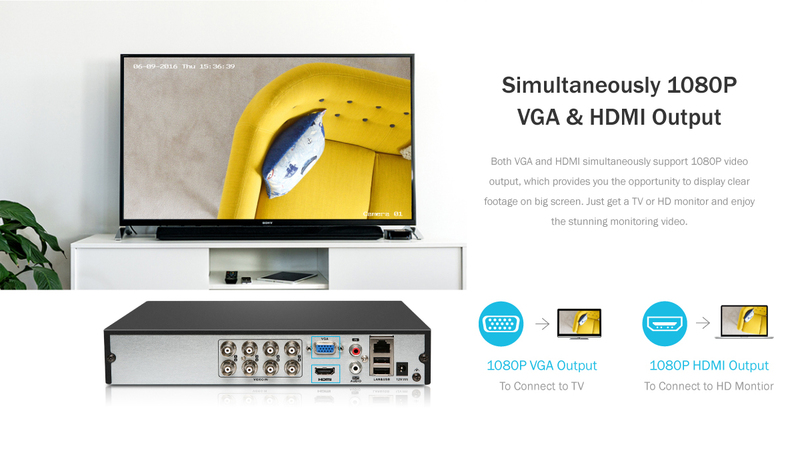 Meanwhile, the video transmission speed is enhanced by employing the H.264+ technology. 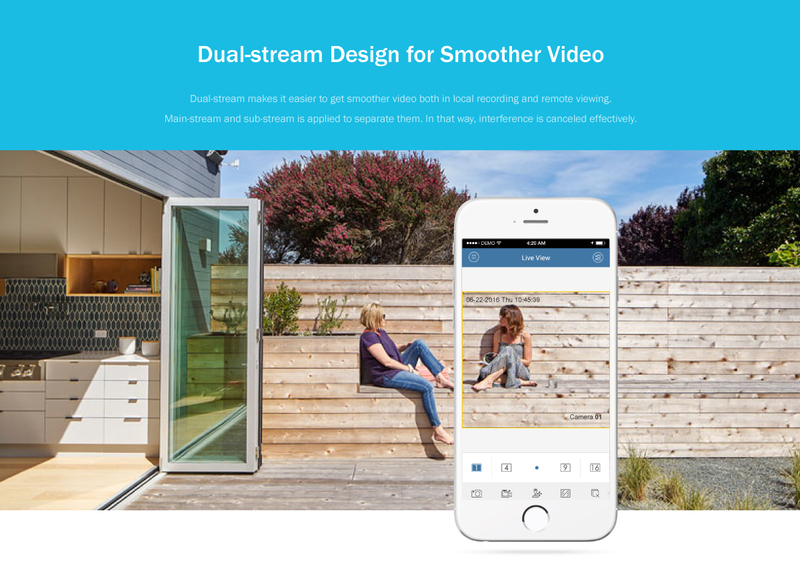 Now, you can enjoy more videos with the same storage space in a higher transmission speed.